Avulsion fracture of the medial epicondyle is when the tendon comes away from the bone and can take part of the bone with it. 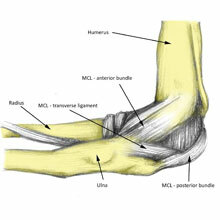 This elbow injury is more common in children with symptoms similar to a sprain. 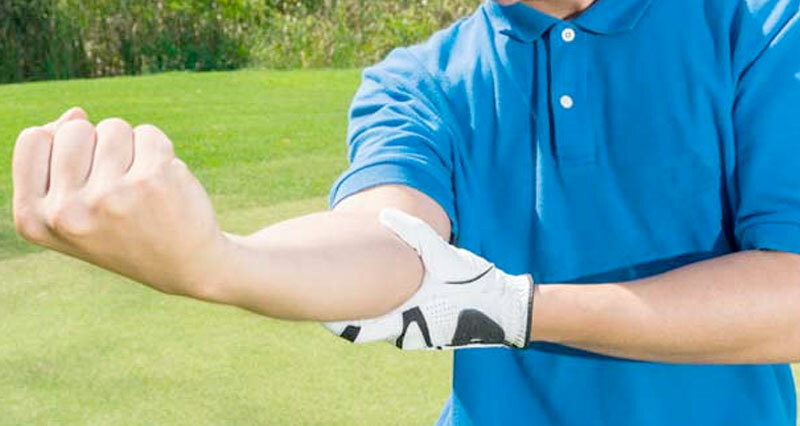 These can include elbow pain, swelling and reduced ability to move the arm. Read more on avulsion fractures, their symptoms and how to treat them. 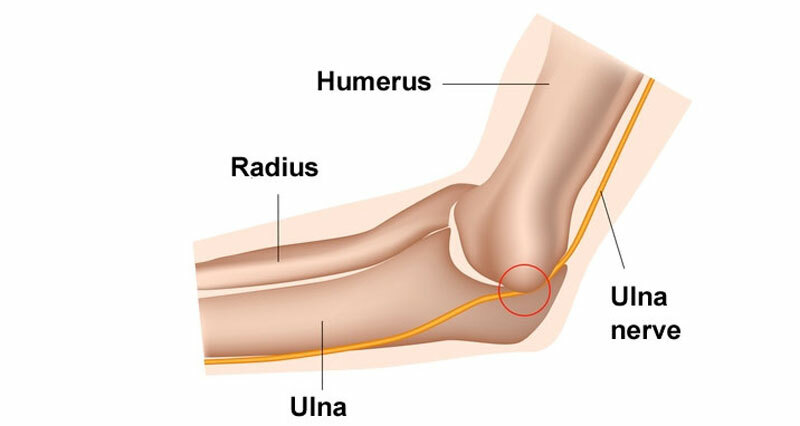 The ulnar nerve runs down the inside of the elbow. 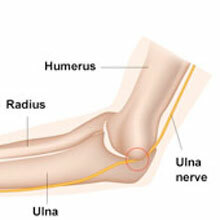 If you knock the inside of the elbow, you can hit the ulnar nerve (or funny bone) which causes a numbness or tingling down the forearm into the fourth and fifth fingers. 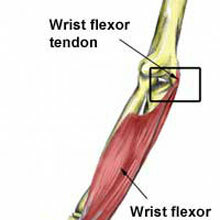 When this nerve becomes trapped or damaged through repetitive strain or a direct impact, it creates this sensation and can cause elbow pain.